2. From the panel on the left-hand side of the homepage, click Financial Services | Legacy Security Access Request. 3. 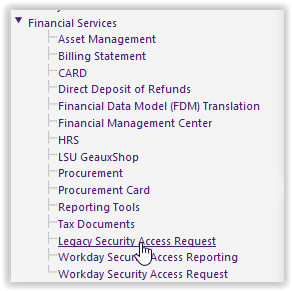 Here you will find the LSU Legacy Security Access Request.